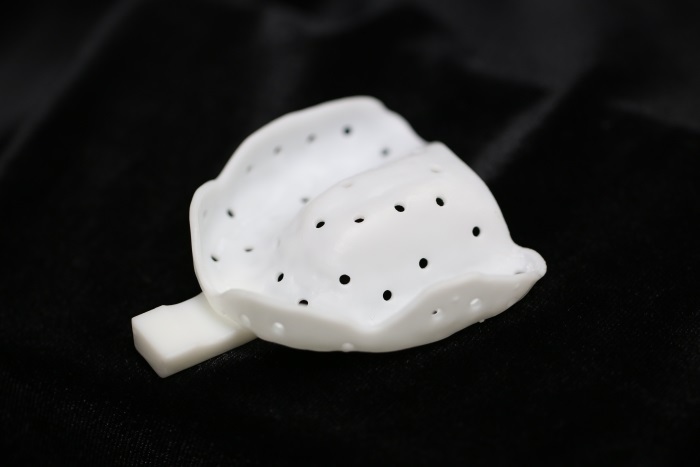 3D Printed Custom Impression Trays are the most accurate trays you will get for your Prosthetic restoration. These custom trays are printed out of a white based material. If you need a 3d Printed Custom Impression Tray for your Denture Prosthesis we offer the tray for FREE with the Denture Prosthetic Restoration. Just ask how.